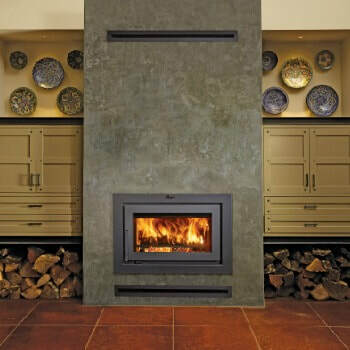 Fireplace Xtrordinair | 42 Apex Wood Fireplace delivers clean burning heat and powerful performance. The Apex is FPX’s newest EPA-Certified wood burning fireplace. A large 328 square inch viewing area and an impressive rectangular door brilliantly frame and enhance the fire. The 42 Apex Wood Fireplace offers a sophisticated design that compliments modern and conventional home styles and décor alike. Ideal for remodels or new construction, the 42 Apex wood fireplace is crafted to be installed in a range of applications. With easy installation parameters and multiple chimney options, the 42 Apex can be added nearly anywhere in the home, even interior walls.